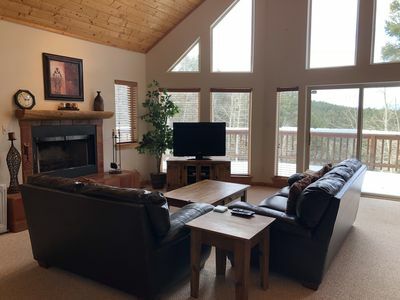 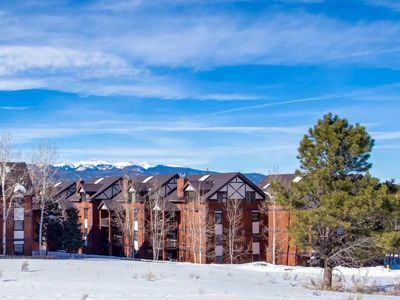 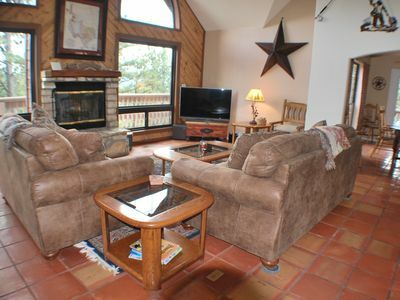 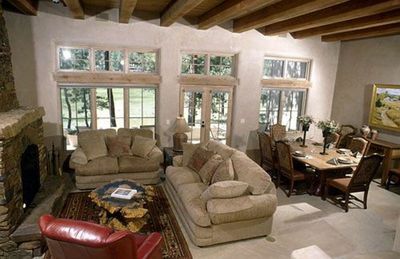 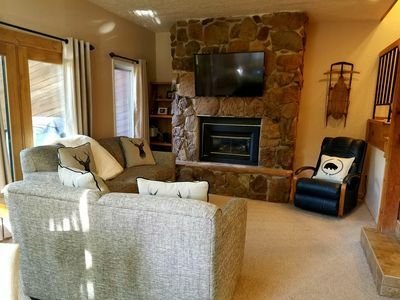 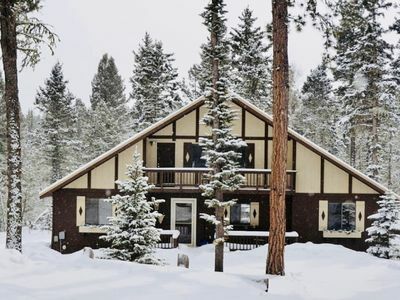 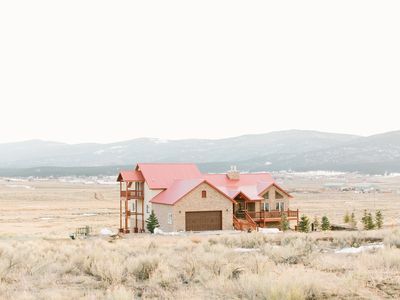 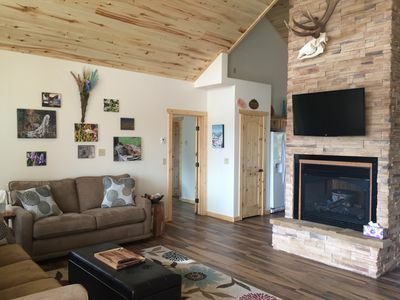 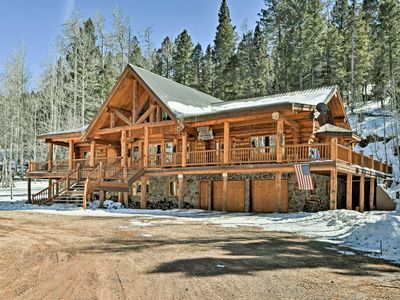 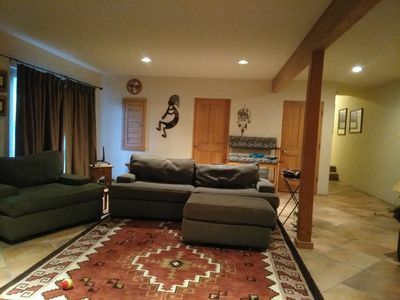 This comfortable vacation home sits only minutes away from the base of Angel Fire Resort. 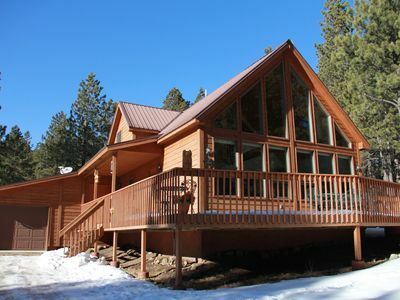 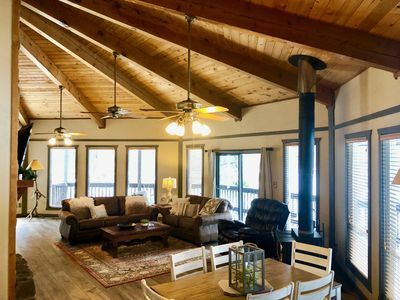 Whether you are visiting during the winter or summer this home is perfect for your next getaway. 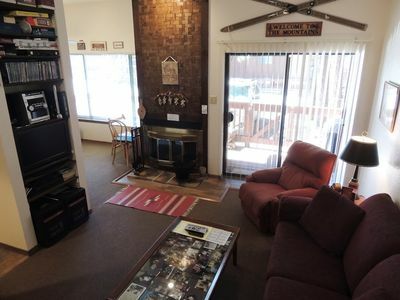 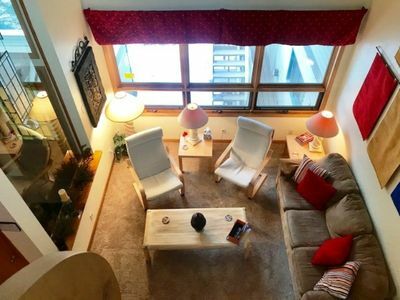 Located on the first floor is two bedrooms and one bathroom. 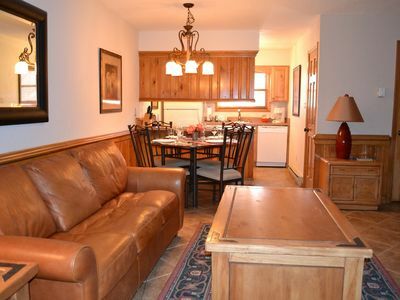 One bedroom has a queen sized bedroom and the second bedroom has two twin beds. 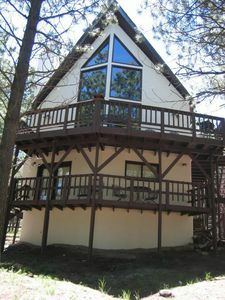 The master bedroom is located on the second floor with one king sized bed and a private bathroom. 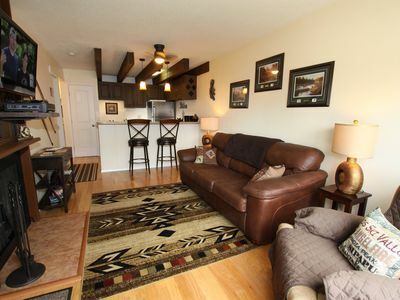 There is also a loft located off the master bedroom with a double futon. 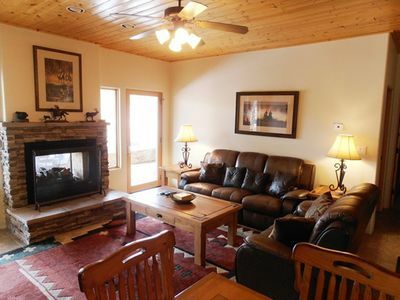 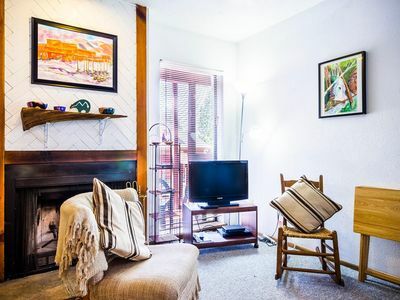 Cozy up to the wood burning fireplace in the living area after a long day on the mountain. 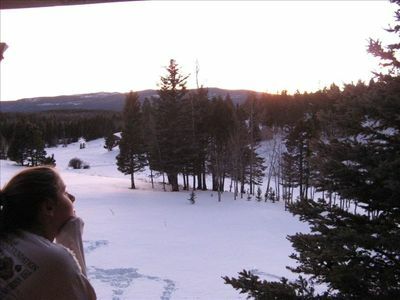 Please note if traveling during the winter months 4 wheel drive is recommended. 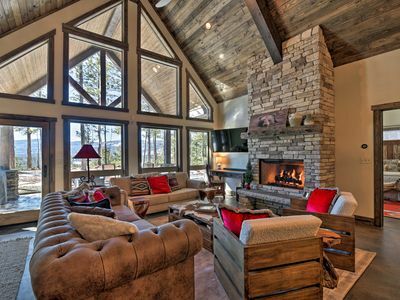 Chalet style cabin with beautiful views.